Stone Barrington’s newest client brings mayhem in his wake in this “edge-of-your-seat adventure”* in the #1 New York Times bestselling series. After giving some legal advice to a walk-in client, Stone Barrington thinks he’s done with the man. But several people are keenly interested in John Fratelli’s activities and how they relate to a long-ago crime...and some of them will stop at nothing to find the information they desire. 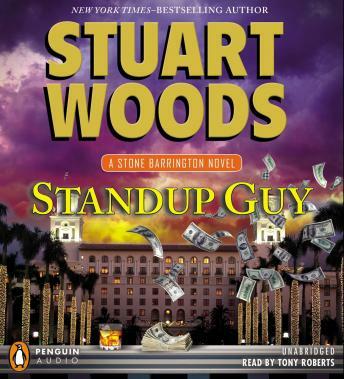 On a hunt that leads from Florida’s tropical beaches to the posh vacation homes of the Northeast, Stone finds himself walking a tightrope between ambitious authorities and seedy lowlifes who all have the same prize in their sights. In this cutthroat contest of wills, it’s winner-takes-all—and Stone will need every bit of his cunning and resourcefulness to be the last man standing.